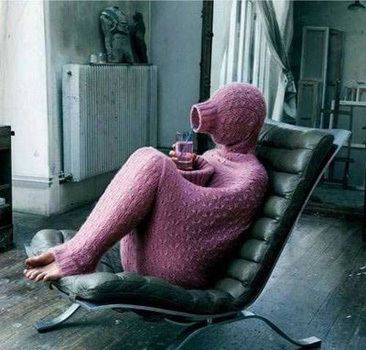 If you’re an introvert, you’re trendy right now. There is a lot of media buzz about introversion and their inner strengths in a primarily extrovert world. At least one in four people tends to listen more than they speak, often feels alone in large groups, and requires a lot of private time to restore their energy. They are introverts says author, researcher, educator and psychotherapist Dr. Marti Olsen Laney. According to Susan Cain, author of Quiet: The Power of Introverts In A World That Can’t Stop Talking, nearly one-third to one-half of Americans are introverts. Cain got her data from Rowan Bayne who wrote The Myers-Briggs Type Indicator: A Critical Review and Practical Guide. I personally have always been skeptical about labels such as introverts and extroverts as well as personality tests. I feel that labels are a way for people to categorize and departmentalize others. Dr. Laney took Hamer’s research one step further and applied it to her work on extroverts and introverts. While identifying whether you’re an introvert or extrovert is more complex than the Myers-Briggs test indicates, the brain science of extroverts and introverts is fascinating. Extroverts have a long D4DR gene that is less sensitive to dopamine. They actually require adrenaline for their brains to create dopamine which motivates us. They also have less blood flow to the brain and have shorter pathways in their nervous system so they often bypass the area of the brain where contemplation takes place. Therefore, extroverts intentionally seek adventurous and thrilling experiences that provide higher levels of dopamine. They crave the spotlight. Introverts have a short D4DR gene that is highly sensitive to dopamine. Too much external stimulation short circuits their thinking and exhausts them. Their nervous system pathways are longer and they find pleasure in slower-paced, orderly, low-risk activities. They receive a buzz through more quiet and reflective activities that are focused in the frontal lobe of the brain. While extroverts crave the Broadway spotlight; introverts enjoy natural light through a window. As a meeting professional, it’s our job to ensure that we provide event experiences that apply to both high-novelty seeking extroverts and low-novelty seeking introverts. Unfortunately, the typical conference or event experience is usually designed for the extrovert. Here are some tips to help introverts succeed at your next event. 1. Focus conference conversations on meaningful stuff. It’s a myth that introverts don’t like to talk. They love to talk about their passions, challenges and hobbies. During conference education sessions, use questions that give introverts the ability to discuss their enthusiasms as they are the thinkers of tomorrow. 2. Start learning exercises with individual reflection first. During education sessions, ask individuals to write down their response to a provocative question or challenge regarding the content. A great question presenters can use is, “How do you respond to the content I’ve shared so far?” Extend that question with query’s like what works for you, what can you apply, what concerns you, what do you need more information on, etc. Spend one to two minutes allowing individual to reflect on their responses before sharing. 3. Collaborative work is beneficial for introverts and best in pairs or threesomes. During conference education sessions, instead of asking introverts to talk in groups of six, nine, ten, twelve or more, have them talk to a peer in pairs or threesomes. The smaller the group the better. Try pair sharing and “pair-squared” techniques to get introverts fully engaged. These are low-stakes methods to encourage participation with one other person. After working with a partner, introverts are often more willing to transition to groups or speak aloud to the entire session. in the original article “6 Tips To Plan Introvert-Friendly Events” published in Collinson Media’s Connect Magazine January/February 2014 issue. What are some other tips in planning an introvert friendly event? Why do we rely so heavily on the Myers Briggs personality test when it is not scientifically valid? I think that introverts are BETTER networkers at conferences. Not that they love the large cocktail parties, but introverts ask more questions and listen to the answers. This leads them to be able to take actions that lead to “Long term and mutually beneficial relationships”. Networking is not about chatting people up at happy hour…. it is about coming to an understanding with each other. Introverts, when they realize they are better at this, can easily take charge at events! Great article and really interesting for a meeting planner. My view is that it is all about texturisation in the conference programme and ensuring there are as many structured as unstructured opps to network. Extroverts are like cream and they rise to the top in any networking senario so it’s a planners job to support the introvert. This is an extremely important topic and I have blogged about it previously. In fact, I have previously blogged about the needs of analytical learners and introverts. Unfortunately, with the push in the corporate world for instant results and shorter and shorter times allocated for internal meetings and team building, the needs of the introvert are being shoved aside. It used to be that, if a programme was 2 or 3 days, the question would be can you do it in a day? Now it’s can you do it in a 1/2 day or even 2 hours. Corporate decision makers don’t seem to understand that participants, particularly, analytical learners and introverts need time to pause, reflect and process information. We end up with meetings that have packed agendas with wall to wall content that leaves no one satisfied. I have been sounding the alarm about this for a while now and so have you Jeff. Alas, I don’t see it changing any time soon. Anyway, for what it’s worth, here is my 2 cents worth on this topic. Also here are more tips that work for introverts and analytical learners. Once again, you are right on the money Jeff….but is anybody listening? Introverts can benefit from knowing how to enter a group, conference or convention. It is important that each hears his/her own voice. Once done, it is easier for them to enter conversation in a group. For a particularly high energy group, such as the National Speakers Association, introverts may find themselves retreating to the “rest room” or to their hotel room – entering and leavning the cacophony of noise until their nervous system is able to tolerate the stimulii level. So, it is recommended that they go to the conference early and participate in the “build up” of the dynamic. Introverts benefit from being able to sleep on an idea, puzzle or problem. Theirs is a slower, deeper process. So, if there is a desire to generate ideas, issues, or solutions throughout a conference, there needs to be a structure or mechanism set up for the posting of these items as they occur. We would be remiss to miss the large overlap between the introvert and the highly perceptive (sensitive) individual researched by Elaine Aron. She and Mary Laney have yet to determine where the HSP (What I call Highly Perceptive Individual or HPI) and the introvert are truly distinct. 70% of HPI’s are introverts. See http://www.hsperson.com for the best current information on the HPI/HSP. Laney’s book also contains exceptional information. It helped me understand my own actions from the perspective of introversion and I’m a Ph.D. Psychologist. Some good points here. Glad we are taking a look at how presenters can flex their delivery to address introverts. I would also add that balancing the energy of the program and not overusing in your face techniques are very appreciated by introverted and extroverted participants.